Following news last fall that Guardians of the Galaxy and Jurassic World star Chris Pratt will be headlining the upcoming Image Comics adaptation Cowboy Ninja Viking, Variety is reporting that Universal Pictures is looking at signing none other than the John Wick directing duo of David Leitch and Chad Stahelski! According to the trade, Pratt himself has approved the pair and an offer is now on the table. The original comic book series hails from A.J. Lieberman and Riley Rossmo and centers on a counter-intelligence unit composed of agents with multiple personality disorder — known as triplets — who have been converted into assassins. Now there’s just one Triplet left to stop them: the Cowboy Ninja Viking! Also rumored earlier this week to be in line to inherit Indiana Jones‘s iconic fedora in an upcoming franchise reboot, Pratt is currently honing one third of the required Cowboy Ninja Viking skills as the star of Pawnee public access’ “The Johnny Karate Super Awesome Musical Explosion Show” (by way of his Andy Dwyer on NBC’s “Parks and Recreation,” currently in its final season). John Wick, starring Keanu Reeves, has been heralded by audiences and critics alike for its stylish action which is owed, in no small part, to Leitch and Stahelski’s history in Hollywood as professional stuntmen. ComingSoon.net had the opportunity to speak with them at their 87Eleven Action Design last fall and we received some stunt training of our very own! You can check that out right here. 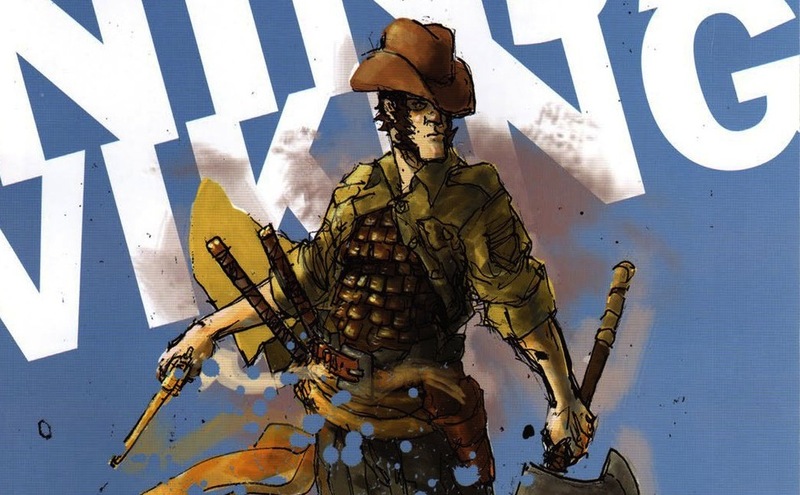 The film version of Cowboy Ninja Viking features a screenplay from Zombieland and Deadpool scribes Paul Wernick and Rhett Reese and has Guymon Casady, Ben Forkner and Mark Gordon attached to produce.